MULTAN: Former Pakistan Tehreek-e-Insaf (PTI) leader Javed Hashmi has rejoined the Pakistan Muslim League-Nawaz (PML-N) ahead of the general elections due to be held later in 2018. Speaking at a corner meeting of the PML-N in his native Multan on Saturday, the seasoned politician said that he had accepted PML-N’s offer to return to the party. 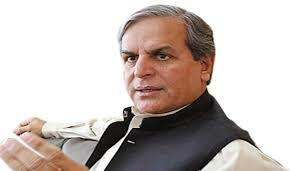 Hashmi left PML-N in 2011 after differences with the party leadership and joined Imran Khan’s PTI. He told journalists that Nawaz Sharif was his leader and will remain his leader. “I stood with Nawaz Sharif in the most testing of times,” he further said. Hashmi added that he had decided to join the rebellion against forces which did not respect the sanctity of the vote. On Friday, before Nawaz Sharif’s address to the Multan rally, Hashmi announced to ‘accept the leadership’ of the Pakistan PML-N supremo, supporting his narrative to demand respect for the vote.